Bluefin tunas are extreme athletes with fins. Warm-blooded fishes capable of growing to 1,500 pounds they sprint at highway speeds through seawater 800 times denser than air, coring through oceans on multi-year, multi-thousand-mile migrations between spawning and feeding areas. At least three bluefin species inhabit the North Atlantic and Mediterranean, the Pacific, and the South Pacific and Indian Ocean. All are amazing, and all are relentlessly pursued by fishermen for their money value as the pinnacle of sashimi and sushi. The Pacific bluefin has recently been assessed as having declined about 96 percent in the last half-century due to intensive fishing. An endangered species petition has been submitted for them. 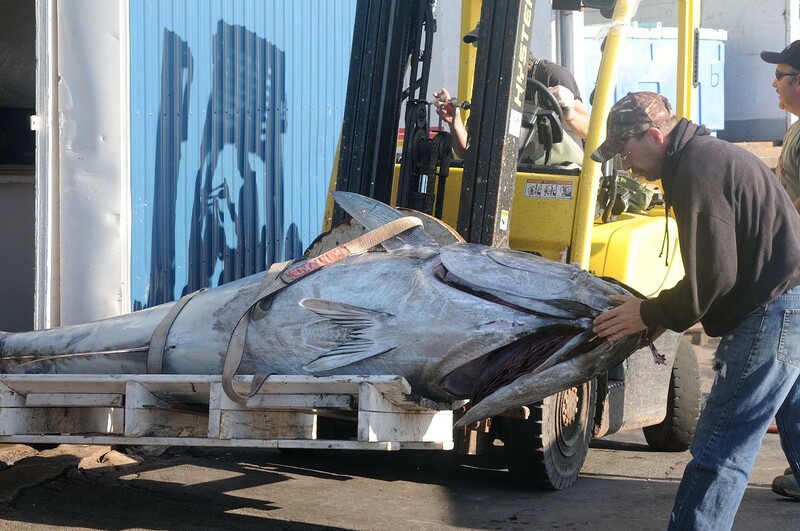 A South Atlantic population appears to have been wiped out by intense fishing in the 1960s. 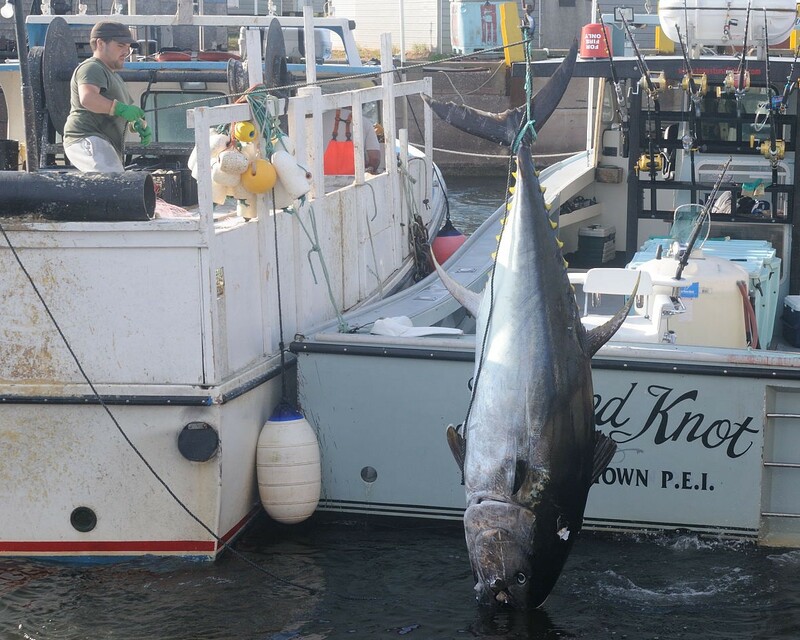 Atlantic bluefin tuna have in recent decades been proposed for a trade ban under the Convention on international Trade in Endangered Species (CITES) and assessed as endangered by the International Union for Conservation of Nature (IUCN). So the other thing bluefin tuna are is: vulnerable. And mismanaged. And contentious. Very. Contentious is what a new study of Atlantic bluefin breeding has become. Of the study’s ten authors (Richardson et al. ), eight work for the National Oceanic and Atmospheric Administration (NOAA) and yet extraordinarily — unprecedentedly, I think — several of their own NOAA colleagues have just published a critique saying that the Richardson team “makes several broad assertions that go beyond what the data support.” Further, they point out, the data support “exactly the opposite conclusion” from the one purveyed by Richardson et al. Amazing to see a rift inside a federal agency spill so publicly onto the pages of a journal like that! I also published an adjacent critique in the same journal, showing why their data don’t support their claims. Here’s the original paper and then scroll, scroll, and on page 16 the NOAA scientists write saying why it’s claims are not supported by the data, then on p. 18 is my own critique of the original paper. Despite an enormous amount of work, the Richardson team’s claims are — . But first, here’s what we’ve thought we’ve known about Atlantic bluefin tuna: that two non-interbreeding populations spawn mainly in separate major spawning areas (Gulf of Mexico and Mediterranean Sea), that these two separately spawning populations sometimes mix extensively in non-breeding open-ocean foraging areas during migrations, and that Mediterranean-breeding fish mature several years younger than members of the west-Atlantic breeding population. Yet Richardson et al. claim to show that: 1) Bluefin tuna of the western Atlantic stock spawn off the U.S. mid-Atlantic and New England continental slope; 2) this newly sampled area is actually the western stock’s main spawning area and this is a major new discovery; 3) western Atlantic bluefin tuna spawn much younger than has been believed; and 4) that western Atlantic bluefin tuna are therefore less vulnerable to fishing pressure than is currently believed. Their only problem is: their data don’t support claims 2 to 4, at all. The first finding is interesting; the area has not previously been sampled for bluefin larvae. But even if we accept all the authors’ prior assertions, the implications for fishing vulnerability are exactly opposite from the conclusion the authors posit. 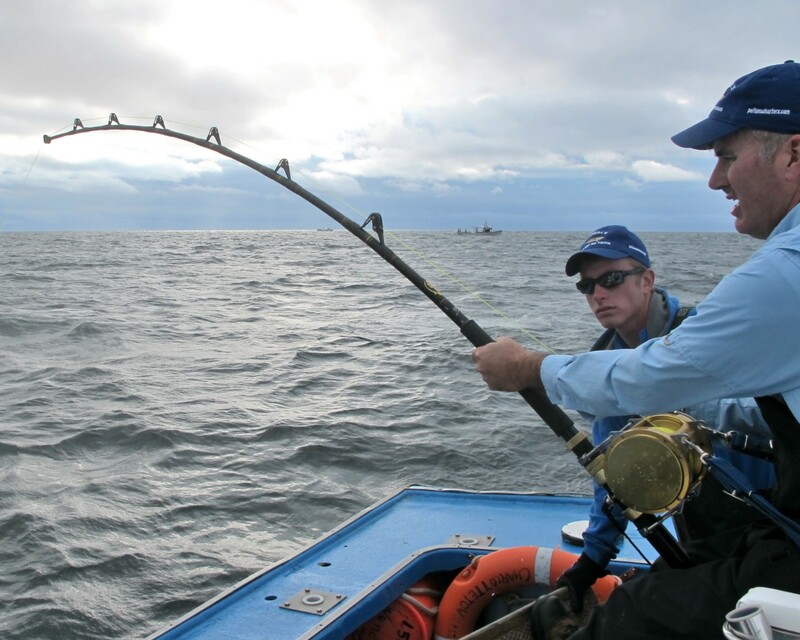 Their claims suggest an author bias toward finding ways to justify higher catches. Such justification, however, cannot be found — even in their own paper. Here we go. Researchers have known for decades that bluefin tuna do some spawning outside the Gulf of Mexico off the U.S. Atlantic coast (the Richardson team ignores that, though we all know about it). Previous researchers found bluefin larvae from the Straits of Florida to the Carolinas (Lamkin et al. 2014). 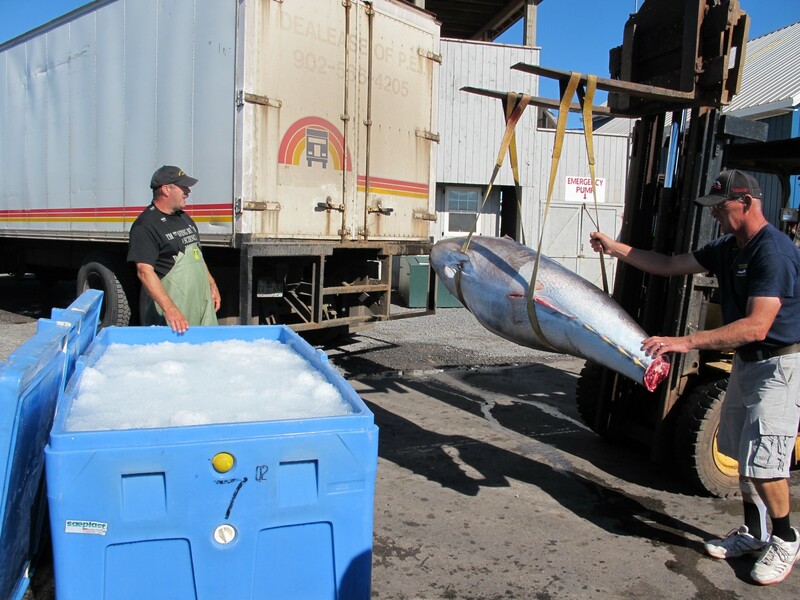 The Richardson team’s sole solid finding is that larval Bluefin tuna were present in an area not previously sampled. The larvae were not necessarily spawned there, however. The Gulf Stream could have transported the newfound larvae from previously reported areas not far to the south, perhaps off Hatteras. So exact origin is not unequivocal, but they did find larvae there. Crucial questions include: Are these larvae spawned by western- or eastern-stock fish? Well if that’s true, that would be huge. The Richardson team compares their average of 0.74 bluefin larvae per tow of the plankton net with Ingram’s (2013) average of 0.48 larvae per tow in the Gulf of Mexico during 2002–2011. Ingram, however, used several arcane transformations of larval counts for statistical purposes, of which 0.48 was both his preferred estimate, and also his lowest. His alternate average for those years was 0.73. For the two years 1977 to 1978 — before the main population collapse — Ingram’s average larval density estimates ranged from 3.73 to 3.95. The Richardson team neglects to mention that Mather et al. 1995 (a study they know well and cite elswhere) discuss Gulf of Mexico larval densities of up to 2,000 larvae per 100 square meters of sea surface area in 1973 and 1974. Of 1973 they wrote: “number per 100 m2 of sea surface were 2,000 for one station, 649 at another, 101 to 33 at three stations and 100 or less at eight stations,” and in 1974: “counts exceeding 1,000 larvae per 100 m2 of sea surface at five stations and 100 to 1,000 at 20 of the 22 stations” (Mather et al. p. 80). 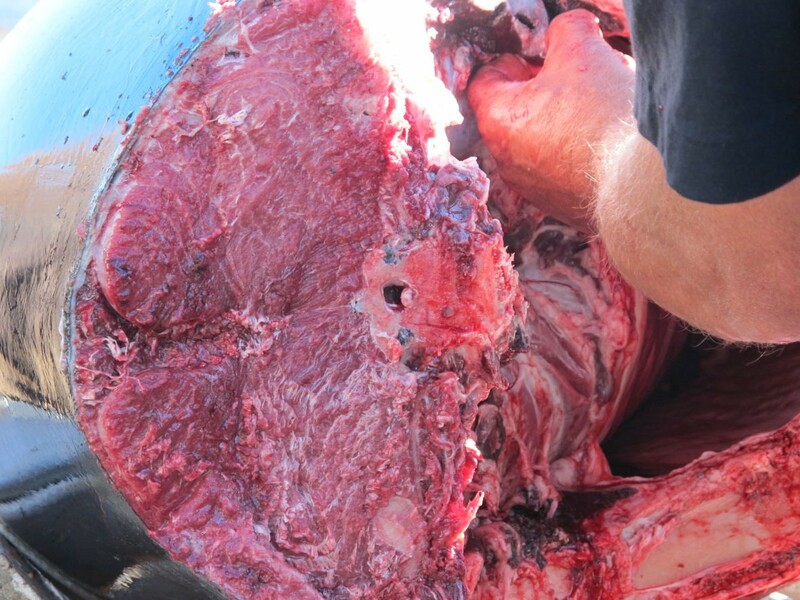 Potthoff and Richards 1970 (in Mather et al p. 81) reported young-of-the-year bluefin (22 mm to 118 mm) exiting the Gulf in such abundance that in the Dry Tortugas nesting terns regurgitated them. That is what a major spawning area is like. These observations indicate vastly higher abundance and productivity prior to depletion. I can almost hear the Richardson et al. team saying that the depletion of bluefin is not relevant to the current situation. Actually it is the current situation. Crucially, Richardson et al. assume the larvae were spawned by western-stock fish. Absent genetic analysis, it’s equally possible that they were spawned by eastern-stock fish. Also crucial is this question: Do they survive? Any larvae in the “Slope Sea” start life months later than those in the Gulf of Mexico, and they face cooling water months earlier. Coincidentally, each summer the Long Island bays north of the Slope Sea become populated with first-year subtropical reef fishes — butterflyfishes, groupers, trumpetfishes and the like — all doomed to die come cold weather. Well, exactly. That’s why, when McGowan and Richards (1989) reported sporadic bluefin larvae from Florida to North Carolina, they considered their study area (food, temperature, current, predators) and concluded that waters off the East Coast, “do not appear to be favorable habitat for the feeding or survival of bluefin tuna larvae.” So, larvae appearing relatively late and at their northern extreme may be moot; they might all die. But the presence of larvae doesn’t tell us who spawned — nor how old they were. You’d need to find fish with eggs and sperm. For Mediterranean-breeding fish, half of them are mature by age 4 (ICCAT 1994). Bluefin in the western Atlantic have been reported physically maturing as early as age 6 (Baglin, 1982) but the smallest bluefin tuna migrating into the Gulf of Mexico breeding area are about 9 years old (Nemerson et al 2000, Richardson et al. 2016). Next, the Richardson team implies that the failure of large bluefin — those of known spawning-size — to enter the Gulf of Mexico in some years must mean that they are spawning elsewhere. Electronic tagging shows that in some years some individual large fish do not go to either known spawning ground. 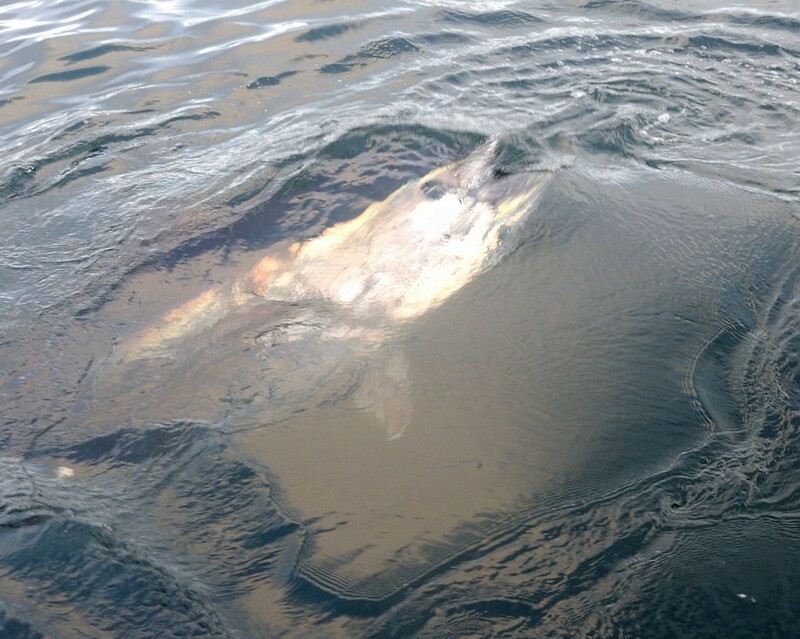 The Richardson team scarcely entertains that bluefin tuna might skip spawning in those years. 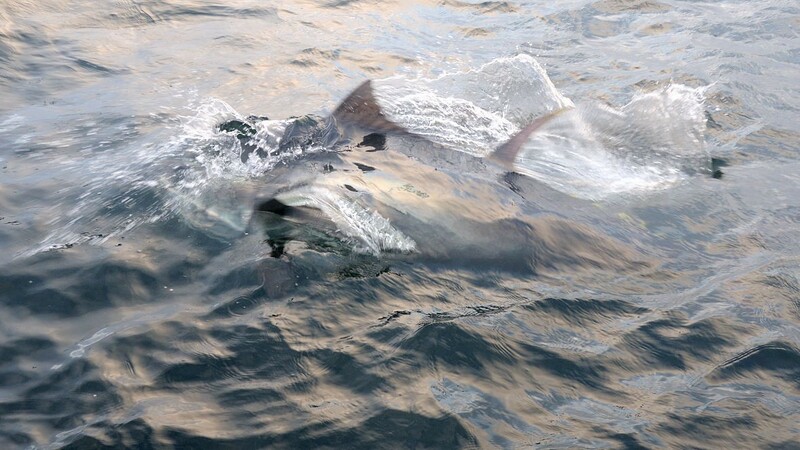 They tell us that in the Gulf of Maine tuna aged 9 to 14 — the age group previously known to spawn in the Gulf of Mexico — “had atretic follicles in June and July,” which they say is “indicative of recent and proximate spawning.” They fail to mention that it can also indicate no spawning. Atretic follicles can also result from egg degeneration and resorption; its causes include: severe malnutrition. This can result in: failure to spawn and — a skipped spawning season (McMillan 2001 pp 211–212). Given concerns over Bluefin food such as recent controversies regarding intensive fishing for Atlantic herring, food stress seems plausible. Given their migrations and their multi-million-egg clutch size, skipping years as a biological strategy also sees plausible. Their third line of evidence is Mather et al’s report of bluefin caught in 1957 in the Slope Sea at ages 4 to 12, having what the Richardson team refers to as “developing to running-ripe gonads.” (Mather et al. did not use the term “running ripe.”) Interestingly, Mather et al. anticipated all larval findings to date by writing, “Gonad studies in the western Atlantic suggest extensive additional spawning areas off Cuba, the Bahamas, and the southeastern United States along the Gulf Stream front north and east of Cape Hatteras… [and] north of the Gulf Stream off the northeastern United States.” So that was news like, 60 years ago. Mather et al. warned, however, “Estimates of spawning areas and seasons from gonad condition are subject to many limitations. Unless the specimen is fully ripe, serious errors may be involved, as these fish can travel great distances in short periods.” Further, in a species considered mature at age 9, is it surprising that fish ranging from 4 to 12 years old include some individuals whose gonads are “developing,” and others who are mature? What else could we expect? Tagging shows only very large individuals migrating into the Gulf of Mexico; half of them are older than 15 years (Richardson et al. 2016). Rather than seeing this as evidence of maturation at large size and high age, the Richardson team implies that smaller, younger fish must be breeding somewhere. 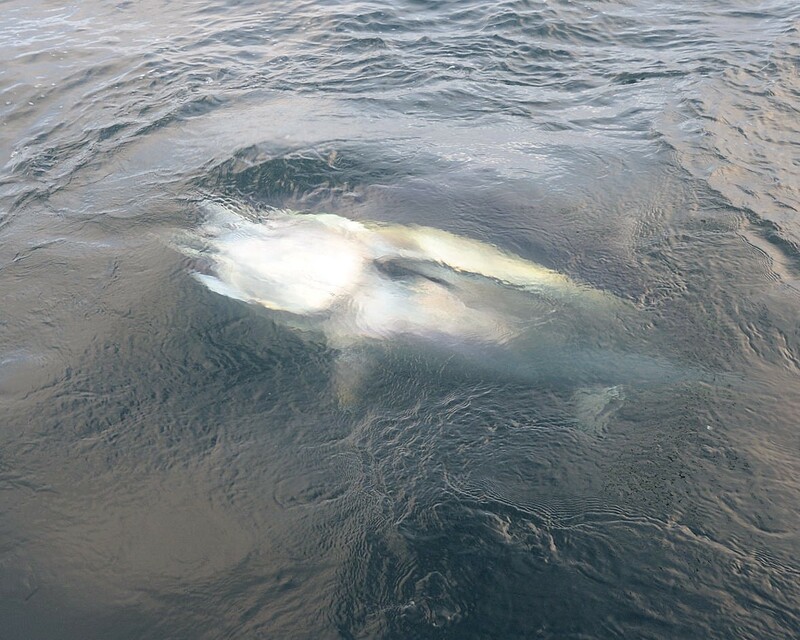 Bluefin and many animals linger in parts of their migration ranges to feed — residence does not imply breeding. 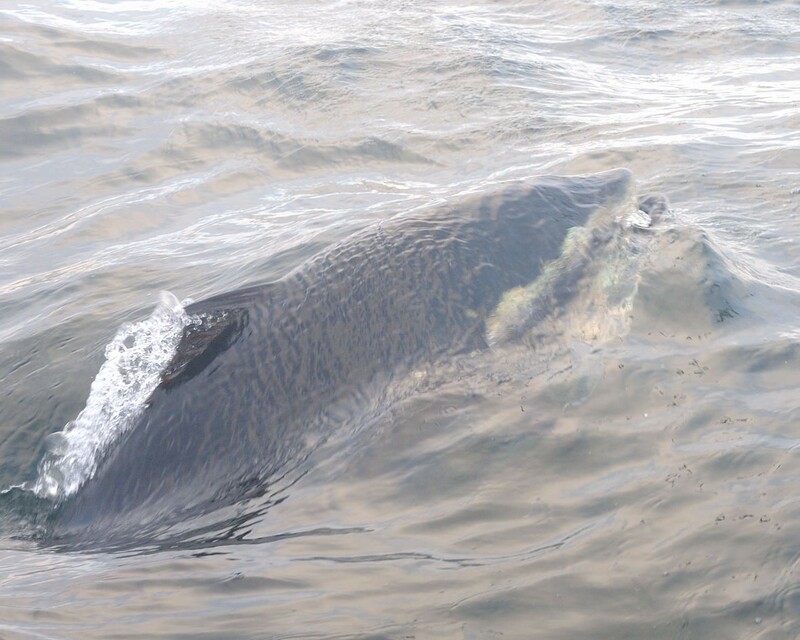 The region is a major seasonal bluefin foraging area. At any rate, the presence of small fish in an area with large fish and larvae is not evidence that small fish are spawning. No small fish go into the Gulf of Mexico, where big fish unequivocally spawn. The Richardson team’s speculation that, “reproductive mixing between the eastern and western stocks may occur in the Slope Sea,” is inconsistent with existing work. Genetic studies (Rooker et al. 2007) have shown the two stocks as reproductively isolated; stable isotopes indicate high homing fidelity to either Gulf or Mediterranean spawning grounds (Rooker et al. 2008); and individual tagged fish have not moved between both the Gulf of Mexico and Mediterranean Sea, behavior consistent with reproductive isolation (Block et al. 2005). 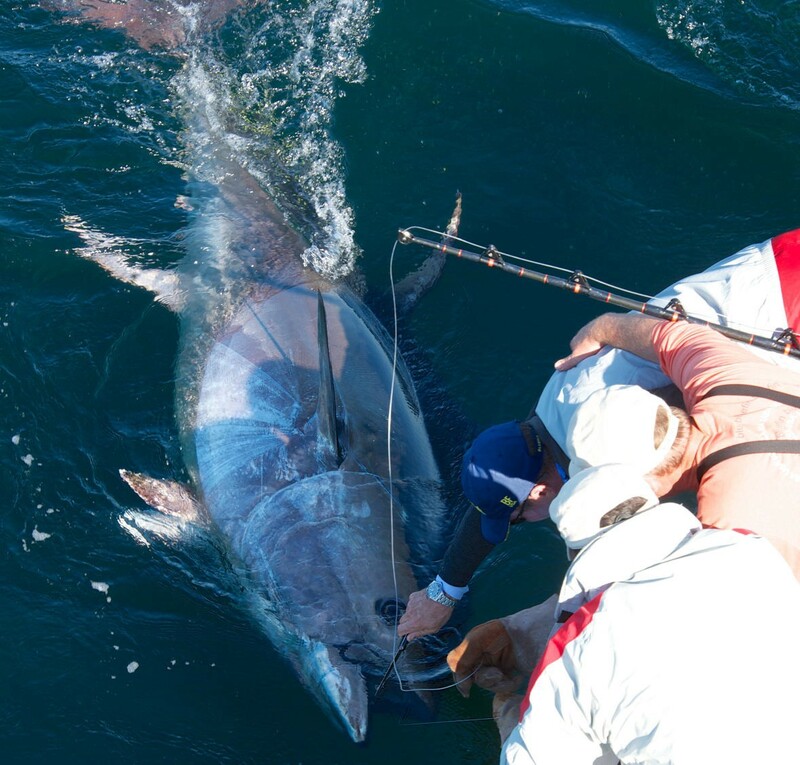 From all this, and despite it, the Richardson team concludes, “evidence indicates that the western stock matures around age 4–5… consistent with the maturity schedule for eastern Atlantic bluefin tuna.” That is an astonishing leap. Their data do not support it; several studies refute it. The population remains depressed and is not showing resilience because continued high fishing mortality kills too many fish before they get old enough to breed (Secor et al. 2015). Well, what might those “implications” be, except to get us comfortable with a population in which few fish survive to older ages — and an attempt to justify increasing fishing pressure? Perhaps — but that could be true only before they’re depleted. 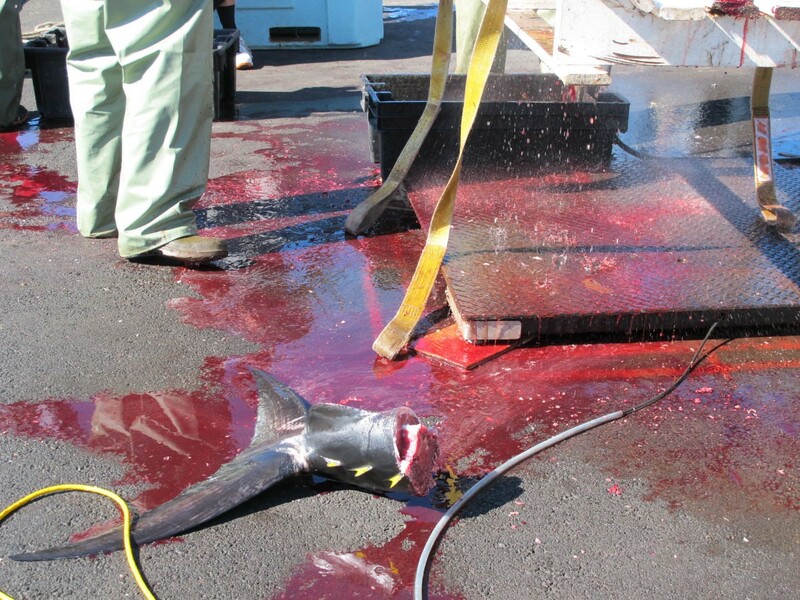 Once depletion happens — as happened to bluefin tuna, the experiment is done and their vulnerability is known. And what we know: they’re vulnerable to depletion. If bluefin tuna really do mature much earlier than accepted, if they really do breed over a vastly larger area than previously known, it would mean that their depletion occurred despite a vastly larger and more widely distributed breeding population than is widely believed. If bluefin really breed younger over a much vaster area as they claim, present mortality rates would indicate that the fish are less productive, more vulnerable, and less resilient than previously imagined. So quite the opposite of the Richardson team’s conclusion that bluefin are “less vulnerable,” their assertions would mean that bluefin are more vulnerable than is thought, and the situation worse than is understood. It would also mean that rebuilding targets would have to be revised far upwards of current targets to reflect their assertion of far higher numbers of mature tuna from which the population declined. That is illogical. A depleted fish cannot withstand more stress than it has withstood simply because larvae have been found adjacent to an area where larvae were previously found. The Richardson team undermined their own hard and complex work by allowing their paper to purvey a set of unsupported assertions. Their paper is a jumble that must be sifted assiduously to pluck one interesting nugget — a range extension for larval bluefin tuna — from a big, sloshy pan of wishful thinking. The Richardson team’s claims regarding fishing management strongly suggest an author bias toward finding ways to justify higher catches. Such justification cannot be found in their data. Finding larvae in an area not previously sampled does not lead logically to a sweeping claim that Bluefin are “less vulnerable to fishing” and to “anthropogenic stressors.” Those assertions are not consistent with bluefin tunas’ demonstrated global depletions. West Atlantic bluefins are not able to withstand more stress than they’ve proven unable to withstand. Yet that is precisely the nonsensical claim of these authors, who undermine an interesting find by their teleogical illogic. Their own agency colleagues have distanced themselves in print, opening the Richardson team’s conclusions to withering scrutiny. Discovering larvae in a never-before-sampled place does not alter the fact that the western bluefin tuna collapsed during the last three decades of the 20th Century coincident with the onset of intensive directed fishing. It does not improve their status. In other words, these animals need more protection, not less. Baglin RE (1976) A preliminary study of the gonadal development and fecundity of the western Atlantic bluefin tuna. Col Vol Sci Pap ICCAT 5:279–289. Block BA, et al. (2005) Electronic tagging and population structure of Atlantic bluefin tuna. Nature 434(7037):1121–1127. ICCAT (2014) Report of the 2014 Atlantic Bluefin Tuna Stock Assessment Session. ICCAT, Madrid, pp 1–178. Ingram GW (2013) Annual indices of bluefin tuna (Thunnus thynnus) spawning bio- mass in the Gulf of Mexico (1977–2011). Col Vol Sci Pap ICCAT 69:980–991. Donald B. McMillan 2007. Fish Histology : Female Reproductive Systems. Springer. Frank J. Mather, III, John M. Mason, Jr., Albert C. Jones. 1995. Life history and fisheries of Atlantic bluefin tuna. NOAA technical memorandum NMFS-SEFSC ; v 370. Heinisch G, Rosenfeld H, Knapp JM, Gordin H, Lutcavage ME (2014) Sexual maturity in western Atlantic bluefin tuna. Sci Rep 4:7205. McGowan, M. F., and W. J. Richards. 1989. Bluefin tuna, Thunnus thynnus, larvae in the Gulf stream off of the southeastern United States: satellite and shipboard observations of their environment. Fish. Bull. 87:615–631. Lamkin , J. T., Barbara A. Muhling, Estrella Malca, Raúl Laiz-Carrión, Trika Gerard, Sarah Privoznik, Yanyun Liu, Sang-Ki Lee1, G. Walter Ingram Jr., Mitchell A. Roffer, Frank Muller Karger, Josefina Olascoaga, Laura Fiorentino, Woody Nero, and William J. Richards (2014) Do western atlantic bluefin tuna spawn outside of the gulf of mexico? Results from a larval survey in the Atlantic Ocean in 2013. ICCAT SCRS/2014/176. Nemerson, D., S. Berkeley and C. Safina. 2000. Determining Spawning Site Fidelity in Atlantic Bluefin Tuna Thunnus thynnus: The use of size-frequency analysis to test for the presence of migrant east Atlantic bluefin tuna on Gulf of Mexico spawning grounds. Potthoff, T. and Richards, W. J. 1970. Juvenile Bluefin tuna, Thunnus thynnus, and other scombrids taken by terns in the Dry Tortugas, Florida. Bulletin of Marine Science, Miami 20:389–443. Richardson, DE, KE Marancik, JR Guyon, ME Lutcavage, B Galuardi, CH Lam, HJ Walsh, S Wildes, DA Yates, JA Hare. 2016. Discovery of a spawning ground reveals diverse migration strategies in Atlantic bluefin tuna (Thunnus thynnus) . PNAS 113:3299–3304. Rooker JR, et al. (2007) Life history and stock structure of Atlantic bluefin tuna (Thunnus thynnus). Rev Fish Sci 15(4):265–310. Rooker JR, et al. (2008) Natal homing and connectivity in Atlantic bluefin tuna populations. Science 322(5902):742–744. Secor DH, Rooker JR, Gahagan BI, Siskey MR, Wingate RW (2015) Depressed resilience of bluefin tuna in the western atlantic and age truncation. Conservation Biology 29(2):400–408.